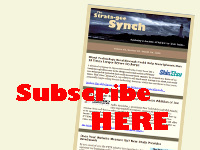 ← Have You Heard – The Next Big Tech Hub is Canada, Eh? So if patents are truly the yardstick of innovation, then the WIPO report should be good news indeed, as their report says that 2018 was a record year in patent filings with more than 253,000 filings of international patents. This is a 3.9% increase over the number of international patents filed in 2017 and a new record. Of this total, 50.5% of all international patent applications came from the Asia region, the first time ever that Asia led the global innovation race. All of these figures refer to filings made in accordance with the Patent Cooperation Treaty, which according to the Nikkei, “coordinates on protection of patent rights and has over 150 members.” Through this treaty, applications are treated as applicable to all parties, instead of needing to be filed with the individual patent offices in each country. Companies interested in protecting their intellectual property rights globally will file such an international patent application. According to the Nikkei, the fact that Asia has grown to be the largest filer of international patents means more of their companies are rising to address the global market. 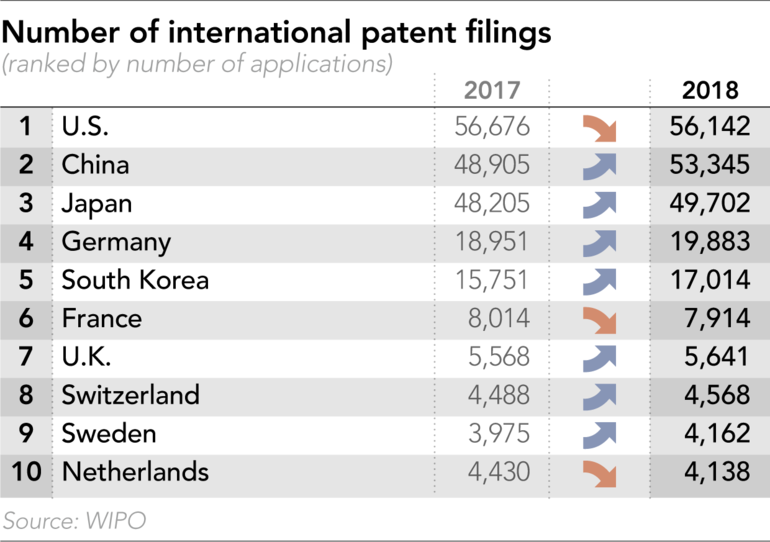 Interestingly, China saw its international patent filings rise to 53,345 or 9.1% over their level of filings in 2017. This means that China came in at #2 on the overall list, second only to the US. However, US filings actually decreased in 2018 by 0.9% to 56,142 – dramatically closing the gap with China. The WIPO report says that China will likely supersede the US within the next two years to become #1 in in the world for innovation. On an individual company basis, by far the largest number of international patents were filed by Huawei, a company currently under pressure from the US government who has accused them of engaging in spying activities, and of stealing Intellectual Property from other countries. Huawei filed an impressive 5,405 patents, nearly double the next closest company which is Mitsubishi Electric out of Japan with 2,812 patents filed. 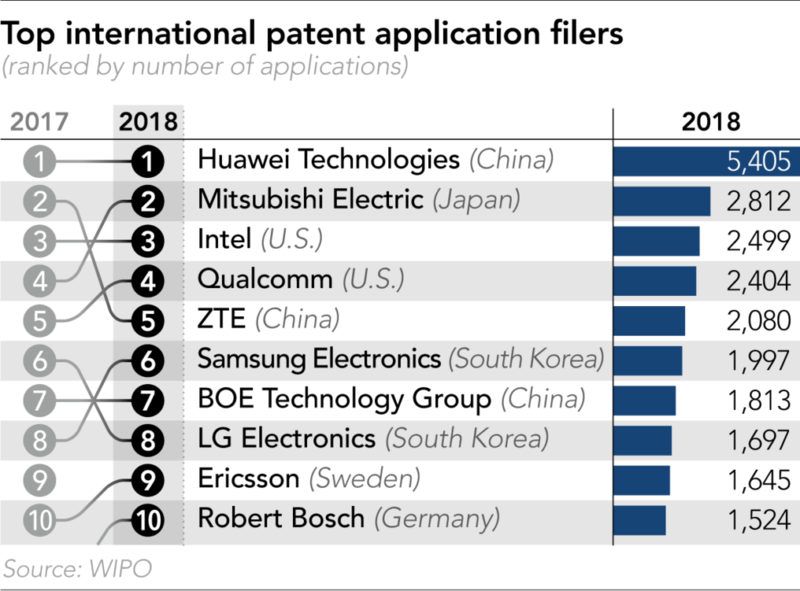 Three of the top five companies in international patent applications filed were Asian companies, including two from China and one from Japan. The first American company on the list is Intel at #3 with 2,499 patent applications, followed closely by Qualcomm with 2,404 applications. Interestingly, Intel and Qualcomm were not only the only American companies in the top five application filers…but they were the only American companies in the top ten. Other than Sweden’s Ericsson and Germany’s Robert Bosch, all other top ten patent filers were from Asia. Huawei’s 5,405 patent applications in 2018 represented a 34.3% increase over their filings in 2017…an impressive rate of growth that shows a real commitment to research and development. And India, as a country, saw its patent applications jump 27.2% – the highest rate of growth for a country – that drove their ranking to 13th globally on the list. 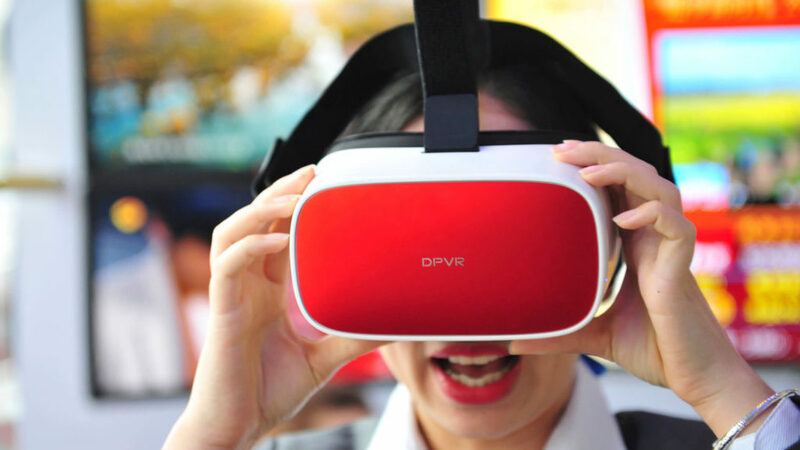 Most analysts believe that China will continue to drive to the top of the chart, as the country is investing billions of dollars to develop the key technologies of the future…including 5G and Artificial Intelligence (AI). A recent Deloitte report noted that China outspent the United States by about $24 billion in wireless communications infrastructure – building 350,000 new sites to the US’s 30,000. The US, the report says, has been outspent by China by between $8 billion-to-$10 billion per year every year since 2015.